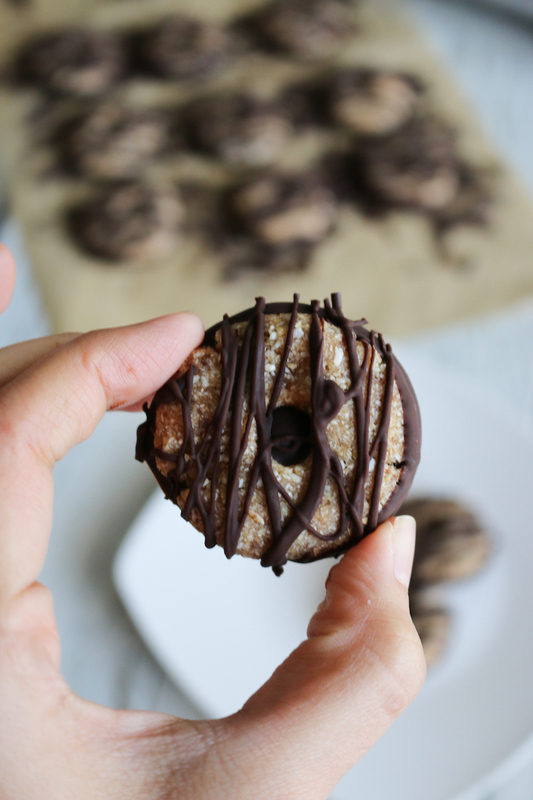 Today I’m sharing with you a fun kid friendly recipe, requested by my crew after many of their friends asked us to buy Girl Scout cookies… Did we buy them? Yes, but it wasn’t long after the first box was open that they asked if we could make our own version. 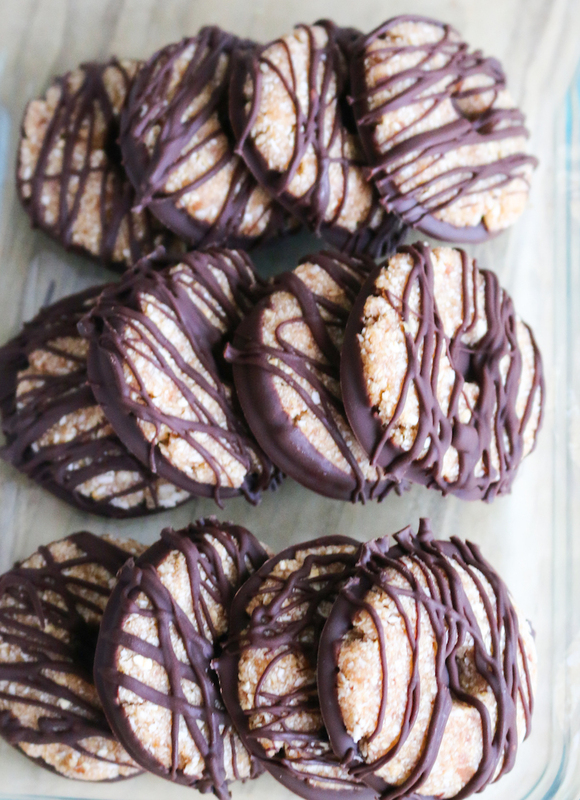 And if your anything like us you will absolutely devour these no bake vegan Samoa Cookies. 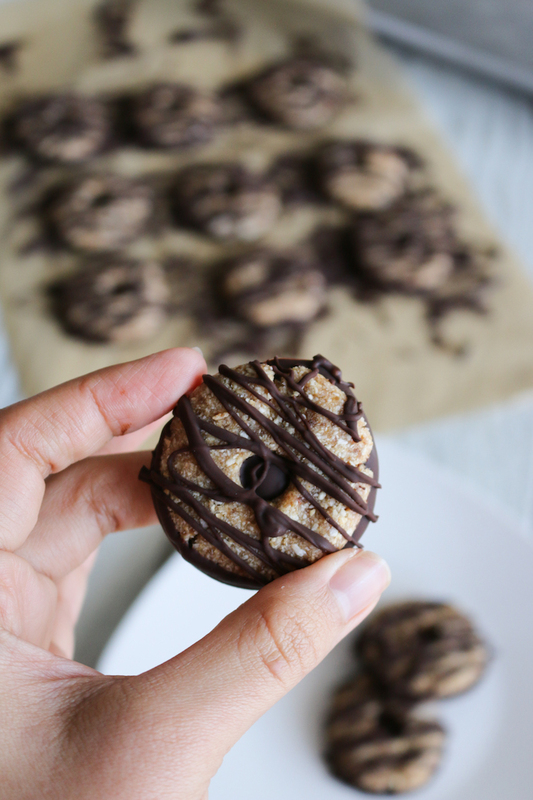 Oh and did I mention that they are gluten free, naturally sweetened, easy to make, nut-free, and full of fiber and healthy fats! 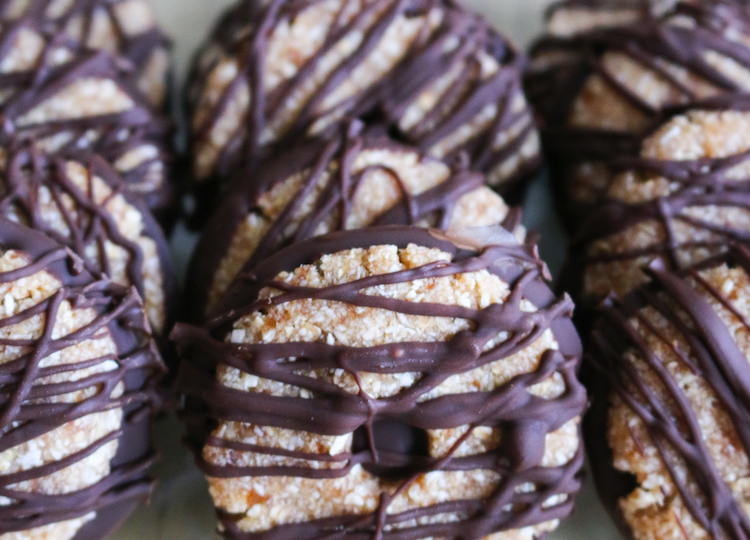 Chewy, caramel, coconutty Samoas. Warning, these are just as addicting as the original but super health and simple to make. Plus you won’t feel bad if you eat three, four or five of these treats. As simple as this recipe is it does require some hands on preparation but the more reason to get your kiddos in the kitchen and have some fun. The base for these cookies is simple, just four ingredients that you probably have in your pantry right now. And if you want to make it easier, instead of making your own chocolate sauce use your favorite dairy-free, nut-free chocolate chip brand, I used the Enjoy Life Chocolate Chips. They are my favorite! And your kiddos will be so very pleased! 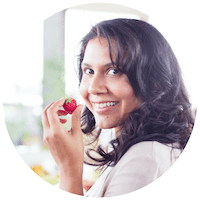 In your food processor, place the pitted Medjool dates, shredded coconut, oats and the pinch of salt and a little water. Process until smooth, stopping to scrape down the sides and add a little more water if needed. Roll the mixture into balls, and flatten with your hand. 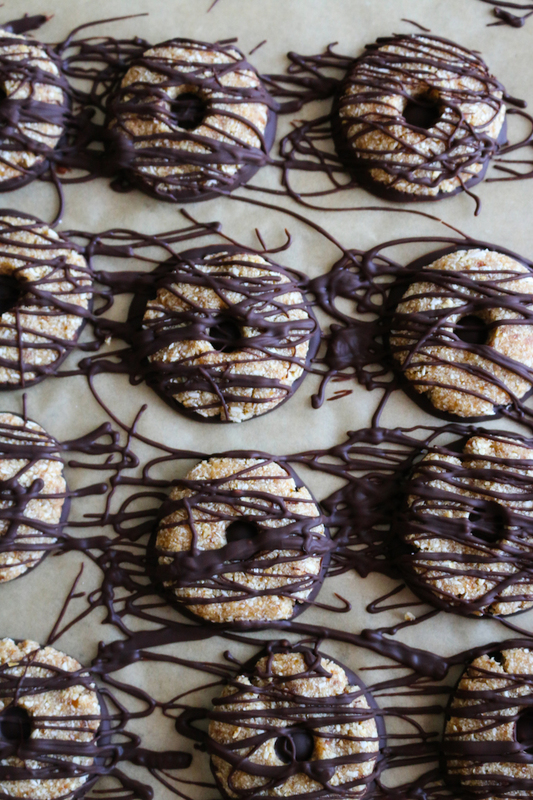 Place the cookies on a waxed paper lined cookie sheet. Use a straw to poke a hole in the middle of each cookie. Place the cookies in the freezer for about 30 min. In a small mixing bowl combine ingredients for your chocolate dipping sauce or melt the dairy free chocolate chips on the stove adding 2 teaspoon of coconut oil. Dip the chilled cookies in the melted chocolate, coating the bottom with chocolate. 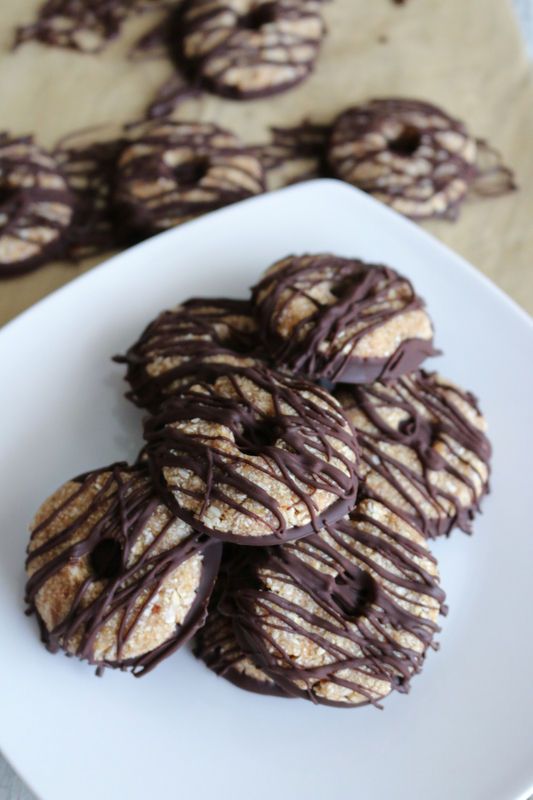 Place on parchment paper and drizzle the tops of the cookies with the remaining chocolate. Store the finished cookies in the refrigerator. Enjoy!